Great Britain have well and truly exceeded expectations at the 2016 Olympic games in Rio, team GB not only beaten their official target of 48 medals with days to spare, but also broke the immense record set at the 2012 games and held on for a historic second place finish (behind only the United States) in the medal table! The investment into British athletics has once again bore fruit and proved a worthwhile, as other nations simply watch in ore! To have built on the monumental achievements of the home games of 2012 is a particularly amazing feat because this Olympics was on foreign soil, half way around the world. With that being said, Cottage Gems wanted to celebrate this remarkable achievement by looking at some of the wonderful UK towns in which the heroes and heroines of the 2016 games were born and raised. Many of these medal winning athletes come from some of the most gorgeous and renowned tourist destinations in the UK, others from more humble beginnings and more quaint towns. The diversity of these places does well to reflect the diverse and rich offering that the UK has on offer for holidaymakers. Click any town below to learn more about the attractions and luxury self-catering options available in that are. Whilst Daley didn’t have the success he wanted in the single dive, he once again proved himself a great sportsman and personality in his conduct under the spotlight and his amazing bronze medal winning effort, with Daniel Goodfellow, in the men’s synchronized 10m platform. 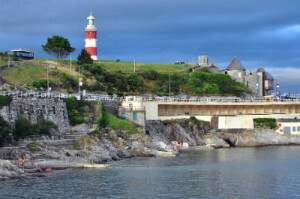 Daley was raised in the UK’s ‘Ocean City’ of Plymouth. Tourists have flooded to this historic city (The Mayflower, which famously sailed to the New World from Plymouth in 1620, is one such historic attraction the city has to boast) to enjoy being in the countryside and by the sea and also to learn about the areas past. Plymouth Hoe, the natural heart of Plymouth, offers up some breath-taking views across the area. This gold winning athlete put on a marvellous display in the women’s coxless pair (along with Heather Stanning) that saw the Brit’s add to their growing collection of Golds and would contribute to their record-breaking total. Being born in the lovely cathedral city of Truro in Cornwall, Glover was born about as close to the seas as a rower could hope to be! Truro, the retail centre of Cornwall, is ful of fantastic and charming shops and eateries and is also home to wonderful attractions like the cities cathedral and the Royal Cornwall museum. It is alo near the a number of beaches and popular holiday towns and villages such as Falmouth, Newquay and St Austell, making it a great base for exploring Cornwall. Murray continues to cement his legacy as one of Britain’s greatest ever tennis players, and could even stake a claim for being the greatest. Muray followed up his historic gold winning effort against the formidable Federer in 2012 with another gold in Rio. The contest was a hard fought one and his opposition, the Argentinian del Potro, put up an admirable fight, with Murray holding out for a hard-earned victory. The Scot himself was born in the city of Glasgow in Scotland. The city is full of iconic buildings, great shopping, wonderful countryside backdrops and a whole host of events and festivals that have established it as one of Scotland’s liveliest hubs. The area also has fantastic transport links and is a great base for exploring the beautiful Scottish countryside. This young athlete looks set to have a memorable career in the men’s swimming. The twenty-one year old caught the public’s imagination in winning team GB’s first gold of the 2015 games. Peaty’s men 100m breaststroke effort shattered records and catapulted the young star into the media spotlight. Peaty comes from humble beginnings, born in the wonderfully charming marker town of Uttoxeter in Staffordshire. Uttoxter lies in the heart of central England, not far from the River Dover, and is near the more well-known cities of Stoke-on-Trent, Derby and Lichfield. The town is home to a nmber of lovely local markets that are held weekly and is also near Alton Towers theme park. Becky James was the recipient of not one but two silver medals at the Rio games, thanks to her fantastic efforts in the women’s sprint and women’s keirin. James was born and raised in the wonderful town of Abergavenny in Monmouthshire, Wales. This picturesque area is nestled between the seven hills (near the Welsh Border) and offers up some unforgettable views and landscapes. The town is considered a gateway to Wales, perfect for exploring the Brecon Beacons. This tranquil place is perfect for a holiday getaway, and there are also many activities available to tourists visiting the area. 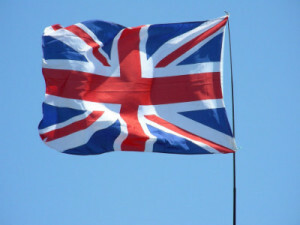 This entry was posted in Holiday Inspiration, News, Top Places and tagged luxury self-catering accommodation, olympics. Bookmark the permalink.